During a March 26 radio interview with Governor McAuliffe in Richmond, a caller asked a question regarding the proposed route for the Atlantic Coast Pipeline. The Governor did not answer the question, but did offer the following remark. “Nelson County – I think it’s our smallest population county in Virginia.” He went on to reaffirm his support for the Atlantic Coast Pipeline (ACP), citing (supposed) cheap energy and jobs. Governor McAuliffe’s remark was totally inaccurate. Depending on the source, Nelson is ranked as the 23rd or 24th smallest county by population in Virginia. Why did he make this remark? Does he view Nelson as tiny and insignificant regarding its number of voters? Is this why he has answered citizen concerns about the ACP with stacks of form letters? Or, is it that he views the nearly 14,000 lives that could be placed at risk by a high-pressure, 42″ pipeline as an acceptable number? Was the population of counties like Highland, Nelson, & Buckingham the determining factor behind Dominion’s path for the ACP? And isn’t this acknowledgment of something on Dominion’s part? Are they acknowledging safety risks they’ve previously denied to the press? Structures per mile determine the Pipeline & Hazardous Materials Safety Administration’s (PHMSA) classification of natural gas pipelines. The path chosen by Dominion for the ACP will make it a Class 1 location pipeline. This means little to no regulation by federal authorities (the US Department of Transportation in this case). It also means that they will not be required to install expensive, automatic shut-off valves, while the manual valves will be set miles and miles apart. 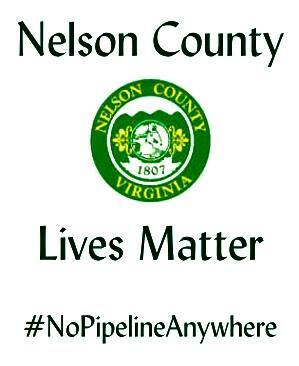 These are a few facts about Nelson County that Governor McAuliffe did not quote. The US Geological Survey (USGS) and the VA Department of Emergency Management designate Nelson County as “moderate incidence,” “high risk” for flooding and debris flows (slides). The National Oceanic and Atmospheric Administration (NOAA) has called Nelson an orographic lift zone which traps storms within our mountains and tends to drop heavy rainfalls. The VA Department of Emergency Management also specifically recommends against “energy pipelines” in these areas. Our governor is well aware of these reports, but has yet to publicly acknowledge their existence. We believe there are nearly 14,000 good reasons to ask him why.